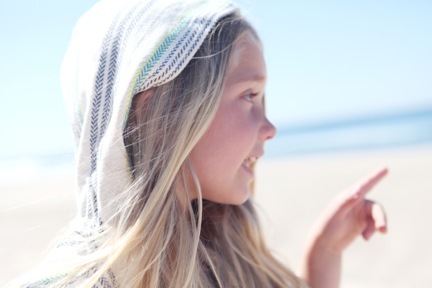 We have been on the hunt for awesome Kid’s Fashion Blogs to learn from and pass along to all of our followers. We don’t claim to be know-it-alls when it comes to fashion and are always on the look out for resources to follow the trends and be fashion forward. Along this journey, we are finding some really great blogs that will be a great resource for all of you as well. When we feature these blogs for you, it won’t just be a link share. We will tell you a little about the blog and why we love it, then we are going to interview the blog authors, after all, they are the fashion experts. This week, we are featuring The Blue Closet. 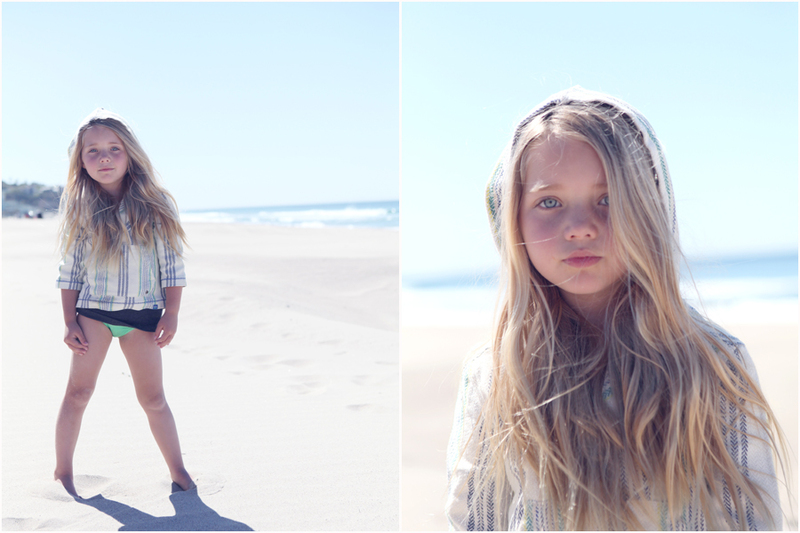 The Blue Closet is a fashion blog dedicated to children’s fashion. It is the perfect one stop shop for fashionable moms who have fashionable kids. There you will find inspiration for baby style, boy style, girl style, tween style and even mama style. Cassaundra, the author of The Blue Closet, has a fresh eye for fashion. She says “I live by worn jeans, brown leather, fried pickles and dressing my three beebs. they are my passion. and so is what they wear”. Some of our favorite posts from The Blue Closet include hair tutorials for girls, This or That Looks for Less, and Packing for Spring Break (this one helped me out a lot in packing my daughter’s wardrobe for an upcoming vacation). 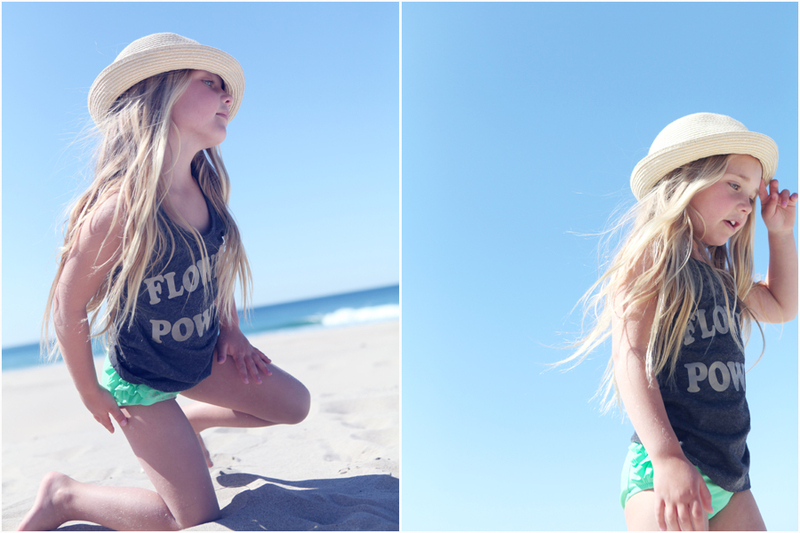 Cassaundra was kind enough to put together summer looks for the beach just for our readers! 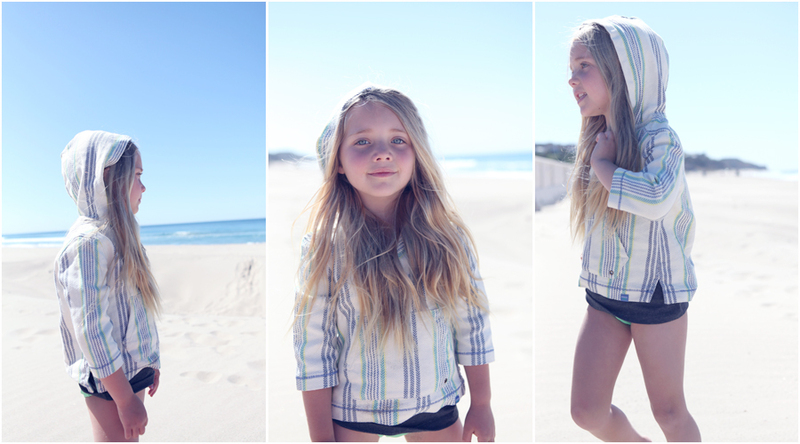 Her beautiful daughter Ruby is a perfect model! Cassaundra also took some time to answer some questions for our readers about children’s fashion trends, her inspirations, and more. What made you want to start The Blue Closet? I had many friends coming to me for style advice for themselves and their families. I helped several put together outfits for family pictures. One day my husband and I were talking about a person stopping me to ask what my kids were wearing and we decided maybe I should start a blog to help moms find cute clothes in every price range. I wanted to create a place for moms to easily see what is out and trending right now. Also tips on how and where I shop. What are some trends that you see for spring? I always love spring fashion. 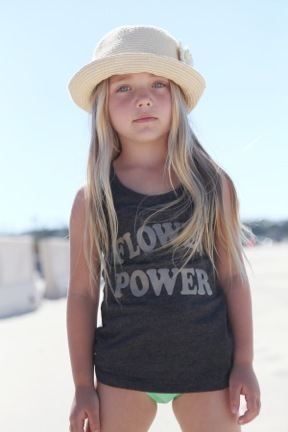 This season for girls, I am seeing a lot of “tomboy” looks, which really resonates with my daughter Ruby and I. We are loving loose boyfriend shorts in denim, chambray, neon colors and patterns. For boys I am loving camo mixed with neon and anything tribal inspired. For bathing suits I am seeing a lot of fringe and geometric patterns. For boys, the length is getting a little shorter above the knee. One really cool thing that has been coming out the last few years are “amphibian shorts”. These are shorts cut like a regular walking short but made out of board short fabric. They are great for transitioning from water play to land play. I am deeply inspired by where we live. We are just ten minutes from the beach. 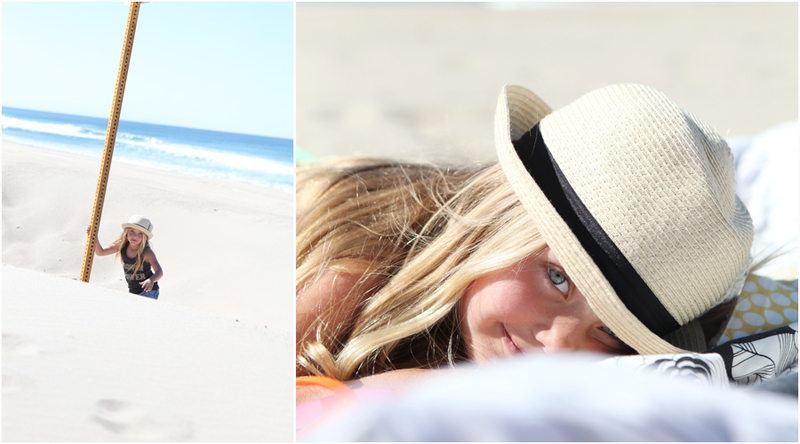 As soon as the sun is out we go from school straight to the beach. I love laid back pieces that can be dressed up or down. Versatility is key for my active family. This season our car is stocked with neon hoodies from crew cuts. We have cool evenings here and always need a light layering piece just in case. We are also just 30 minutes out of LA so I like the unexpected nature of adding something edgy to a laid back outfit. I like to check out all different types of artists. Graphic artists seem to have their pulse on color trend. Fine artists seem to always know what new shapes and subjects are becoming popular, like Parima Creative Studio. Right now I am obsessed with Andrea from Pink Sugarland Photography. She captures images that need no words. I want to be better at that. Its so inspiring. 1. Shop online first. See what you like. See what you are drawn to and get a good idea of prices. It is a lot easier to walk away from your computer then it is to walk out of a store. 2. Don’t limit yourself to any one gender department. I am always finding great pieces for Ruby in the boy’s department like oxfords, Grandpa sweaters and bright chinos that I cut into shorts. She loves teal and blues so I often find more variety of those in the boy’s department. 3. Make adjustments to reinvent and reuse. I found a military jacket in the boys department at Old Navy. I cut off the sleeves and now Ruby wears it as a vest. At the end of the season I cut her leggings into shorts for gymnastics. I recently just did a boyfriend t-shirt treatment on her brother’s old Dodger tee to make it more girly and fun. 4. You can find what you want in your budget. Just be patient and look. Especially with how fashion savvy places like Target are now a days. love love love the Blue Closet! GREAT feature! This is so inspiring! I love the idea of thinking through what I buy for my kids and making sure it works with our lifestyle as well as being in fashion! Cassaundra is a genius!